Dr. Lieberman is pleased to offer Botox® to compliment your great smile. We can use Botox® to smooth out forehead wrinkles, frown lines, and crows feet. When used correctly, Botox® can give you that youthful glow without the appearance that you had anything done. 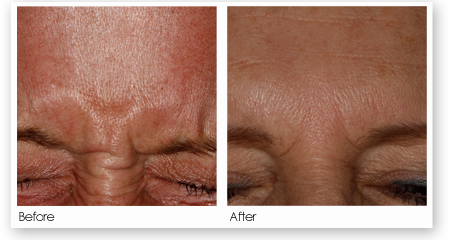 Botox® is a safe, effective, proven method of smoothing out wrinkles in the forehead, around the eyes, and mouth. It is injected into muscles that over time cause skin to wrinkle, and once this muscle activity is reduced, skin overlying the muscles is allowed to regain a smoother, more youthful look. There are many misconceptions about Botox®. First of all, Botox® is not a poison, but a protein created by a bacteria. There are no live bacteria in Botox®. Botox® works by reducing muscle activity. Secondly, this action is not permanent, but typically lasts three to four months, at which time the patient may elect to retreat with Botox®. Juvederm is a smooth gel that is made up of hyaluronic acid, which is a naturally occurring substance found in your body. By carefully injecting Juvederm® underneath the skin, your skin can be completely rejuvenated, ultimately adding volume and reducing the appearance of facial wrinkles and folds. It offers patients a safe and effective treatment wilth little to no down-time. Juvederm is less invasive than other fillers and provides patients with dramatic improvement almost immediately following treatment. Results can last up to six months. Voluma® is the first and only FDA-Approved filler to correct age-related volume loss in the midface. Voluma® filler gives you natural-looking results and last up to 2 years.